– This super soft tee is the perfect staple t-shirt. It’s form-fitting but pre-shrunk, so it will maintain its shape after washing. 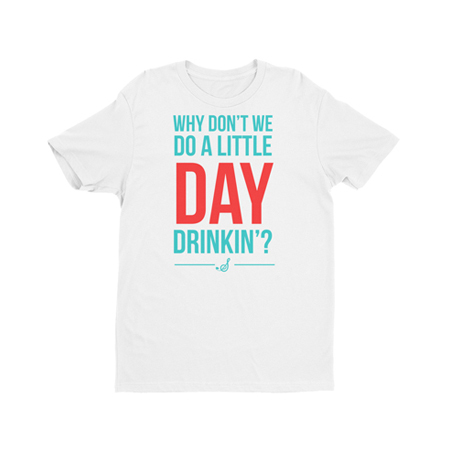 – Who doesn’t love a little Day Drinkin’!? This super soft and lightweight tee is the perfect summer look for all day drinking activities!